(Washington, DC, December 17, 2015) –On Friday, December 11th, PYXERA Global received the Local Content Initiative Award at the annual Ghana Oil and Gas Awards (GOGA) in recognition of the USAID-funded Ghana Supply Chain Development (SCD) Program. Since its inception in March 2013, the SCD Program has increased the participation of 194 Ghanaian small and medium enterprises (SMEs) in the oil and gas supply chain. “We have been very fortunate to have the backing and support of USAID in implementing this program, and this recognition from GOGA demonstrates that the industry understands the importance of capacity building for SMEs to pave the way for their success as suppliers of goods and services,” said Harry Pastuszek, Vice President of Enterprise and Community Development at PYXERA Global. The GOGA award, endorsed by the Ministry of Energy and Petroleum, and the Ghana Oil and Gas Service Providers Association, recognizes the strategic impact of the SCD Program for Ghana’s burgeoning oil and gas industry. GOGA nominations are granted to organizations which have played a defining role in moving the industry forward. “To have earned the trust of the Ministry of Energy and Petroleum, the Petroleum Commission, and a multitude of small and medium-sized companies in Ghana has been essential to the success of the SCD Program,” said Pastuszek. The SCD Program provides specialized training, direct technical assistance to SMEs, and access to information regarding oil industry procurement opportunities to increase local SME participation in the industry. By establishing a dialogue with national and local government, oil and gas companies, and local business associations, strategic partnerships have been created to aid in the sustainability, longevity, and localization of the program. Capacity building for SMEs, delivered almost exclusively through Ghanaian consultants and trainers who have likewise benefited from SCD assistance, has contributed to 45 contract awards to Ghanaian companies collectively valued at more than $13 million. 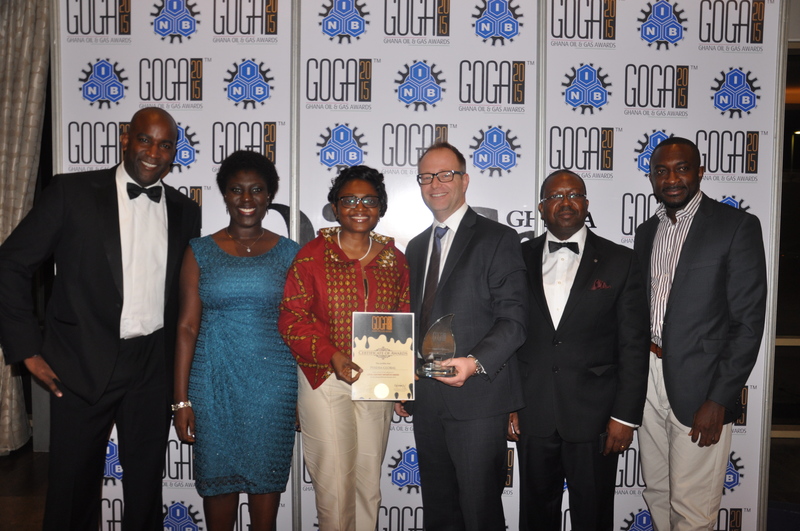 Representatives from PYXERA Global and USAID Ghana accepted the award on behalf of the SCD Program. The USAID-funded Ghana Supply Chain Development (SCD) Program seeks to increase the sustainable participation of Ghanaian small and medium enterprises (SMEs) and business service providers (BSPs) in the supply chain for the oil and gas sector in Ghana. After the discovery of oil in the Jubilee field in 2010, the government pledged to use oil to develop the economy and passed the Local Content and Participation in Petroleum Activities Bill in 2013 mandating 90% of oil and gas procurement to be sourced locally by 2020. The SCD Program has established itself as a leading provider and facilitator of services for SMEs and BSPs which contribute directly to the advancement of Ghanaian local content. PYXERA Global leverages the unique strengths of corporations, governments, social sector organizations, educational institutions, and individuals to enhance the abilities of people and communities to solve complex problems and attain mutually beneficial goals. 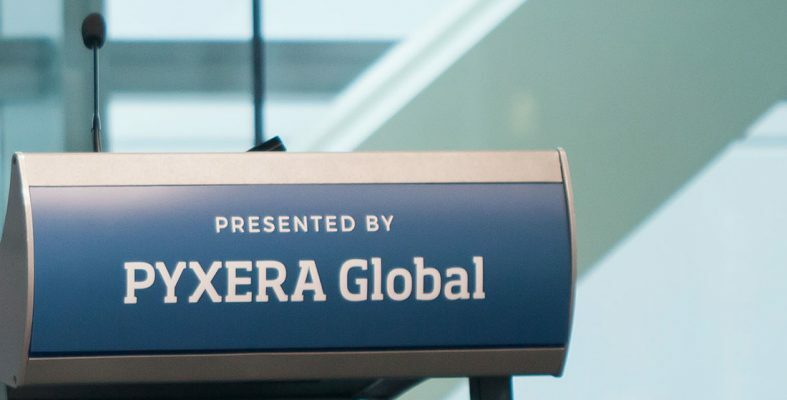 The PYXERA Global team is passionate and dedicated to navigating challenges and pinpointing purposeful global engagement opportunities for its clients and partners. Initiatives include a wide range of services from local content development to global pro bono programs and integrated community development efforts that transform lives and livelihoods.